Deckhard is back, Hampton Fancher is back, the rain is back, as is some of the neon, albeit faded behind some kind of airborne filth with lumps in it. Blade Runner in the eighties was a world crippled and depressed but still glowing with life. By 2049, life appears all but extinguished. Nature has been reduced to worm farms while the only sizeable pre-anthropocentric organisms surviving, humans, are living on synthetic food and slowly being replaced by synthetic persons. When replicants become self replicating, the robot inheritance is upon us. The direction of humanity, hardened by the termination of a hospitable home planet, seems to be off-world into an inhospitable universe. Earth, Mars, it’s all the same now. Robots win by natural selection. 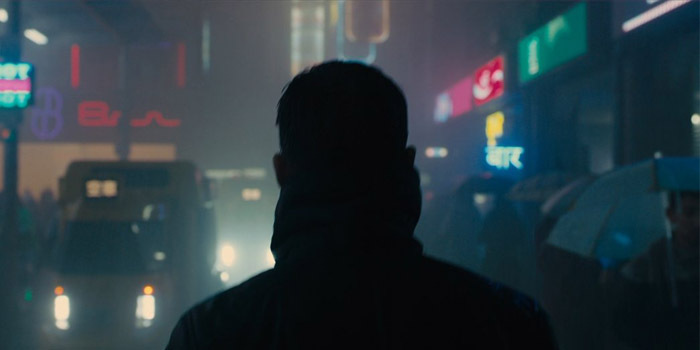 When you think about it, though, replicating a replicant was ever a techno-industrial process, so replicants would always have been able to self-replicate. 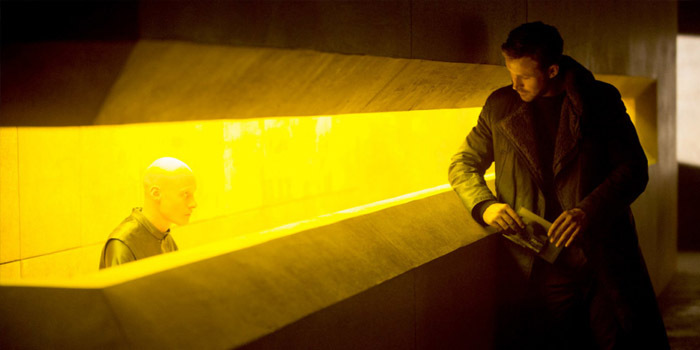 Maybe that’s what that blind guy was … with the buzzing robo-eyes … a replicant. Yep, but humans retiring and bequeathing the family home is more the point here.